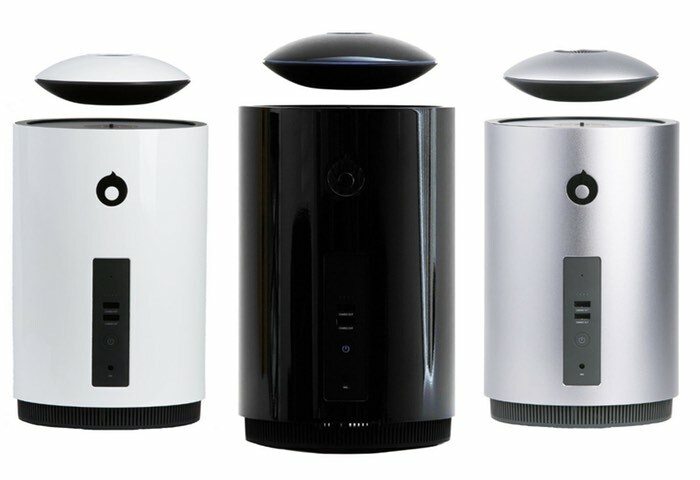 If you are in the market for a new Bluetooth speaker to listen to your tunes and are searching for something a little different, you might be interested in the Mars levitating speaker which looks like a combination of a flying saucer and an Apple Mac Pro computer. The very unique Bluetooth speaker system has been designed to offer a high five full range sound and incorporates a floating tweeter that hovers above the sub-woofer base using an innovative automatic launch and land levitation system. Watch the video below to learn more about the Mars Levitation Bluetooth speaker that has been created by Crazybaby and is now available to purchase from the likes of Amazon priced at $329. The Mars Bluetooth speaker was originally launched after a successful Indiegogo crowdfunding campaign raised over $775,000 thanks to over 3900 backers. Its creators explain More about its inspiration and its unique levitating tweeter. We love music. And we want to elevate your music experience with the best levitation speaker ever. Mars by crazybaby is a levitation Bluetooth speaker system with Hi-Fi sound. Clean, elegantly designed and easy to use. Enjoy the future sound right now, both indoors and outdoors. Mars will improve your personal audio experience in the coolest way. When music is playing, the UFO shaped Mars Craft floats elegantly above the base and features an amazing circular lighting system. It will land slowly on the base when it runs out of battery, and starts charging with built-in wireless capabilities. Once charged, it will automatically resume floating. Mars Craft is ultra-portable. IPX7 standard makes the Craft waterproof up to 3 feet deep and aircraft grade aluminum protects it from bad outdoor weather. – Easily connect with any of your bluetooth device and control the speaker from up to 33 feet away. – Pairing two units of Mars will build a 2.1 stereo sound system to enhance your home theater experience. – The speaker spans a full 360 degrees, so everyone gets the best sound in the room. For more information on the new Mars Bluetooth speaker jump over to the Amazon website for details and to purchase via the link below.